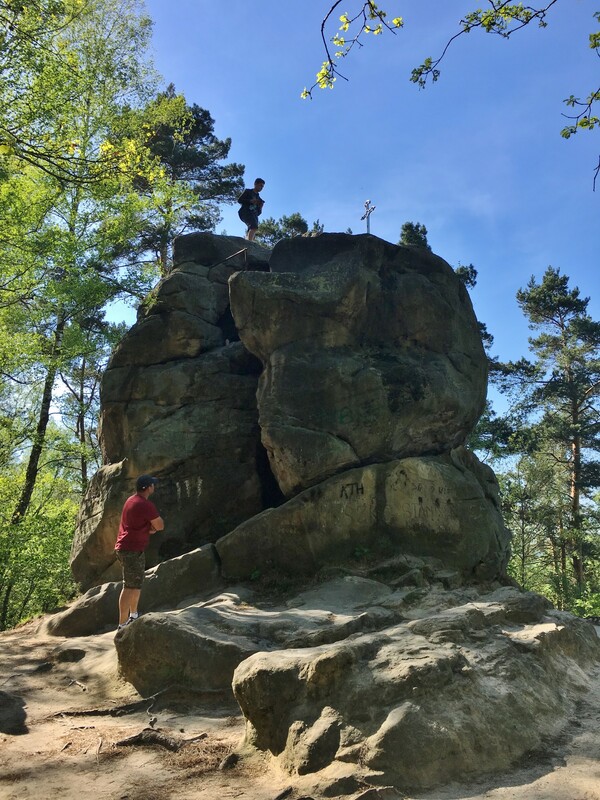 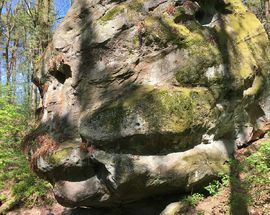 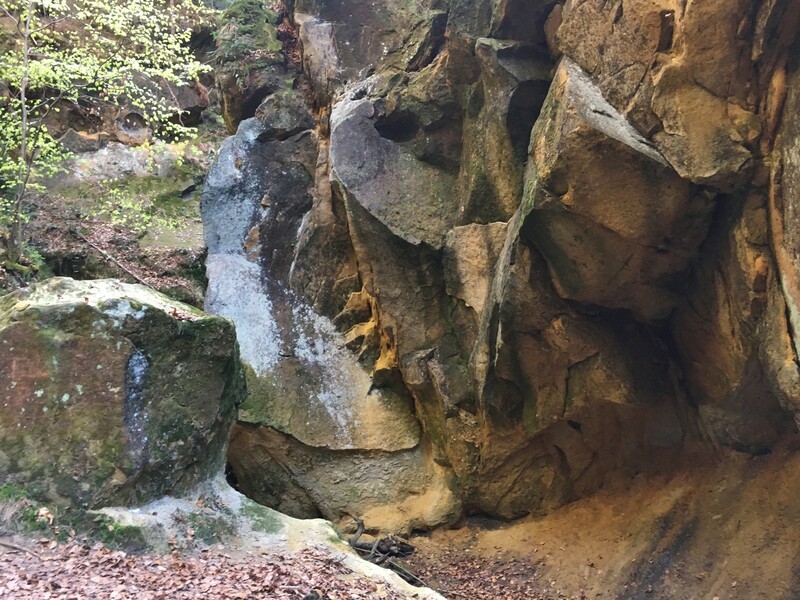 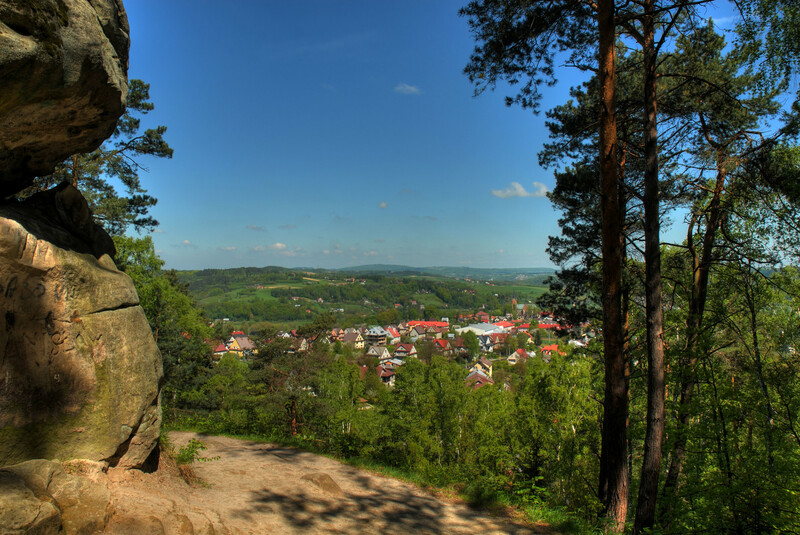 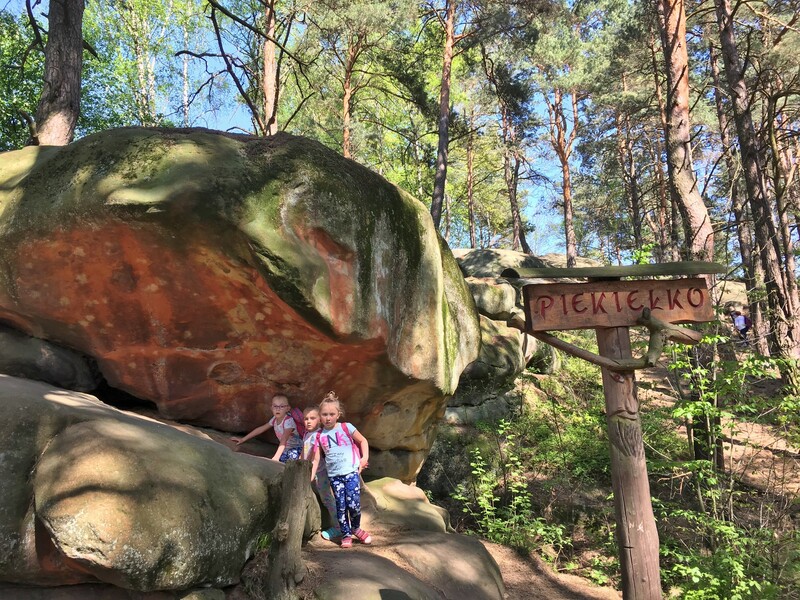 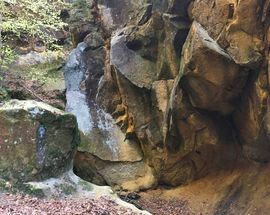 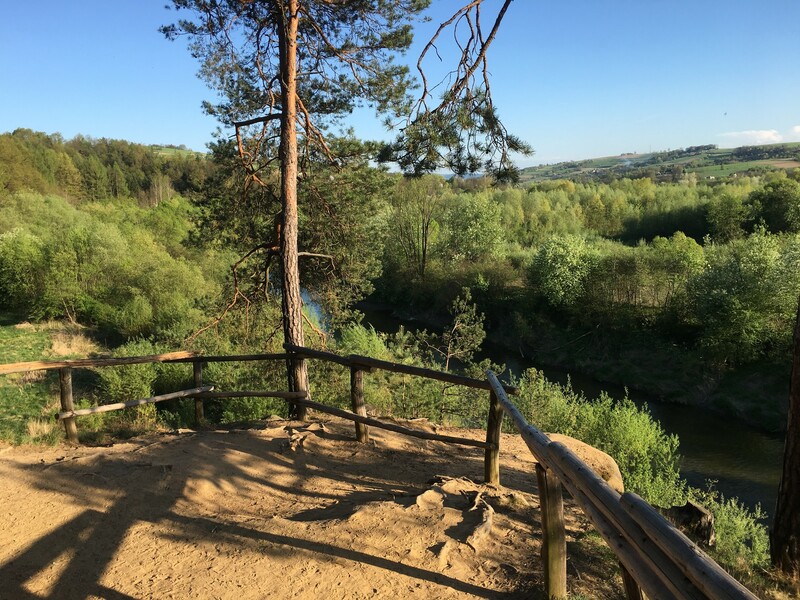 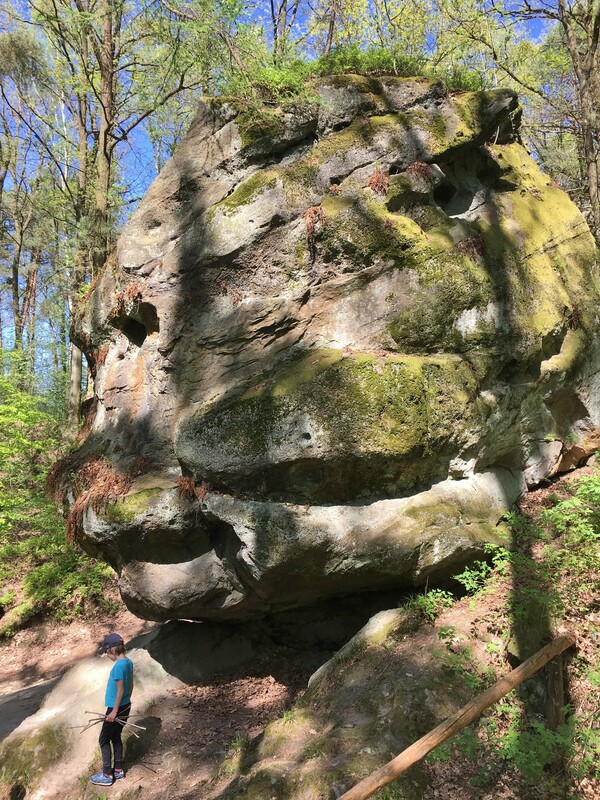 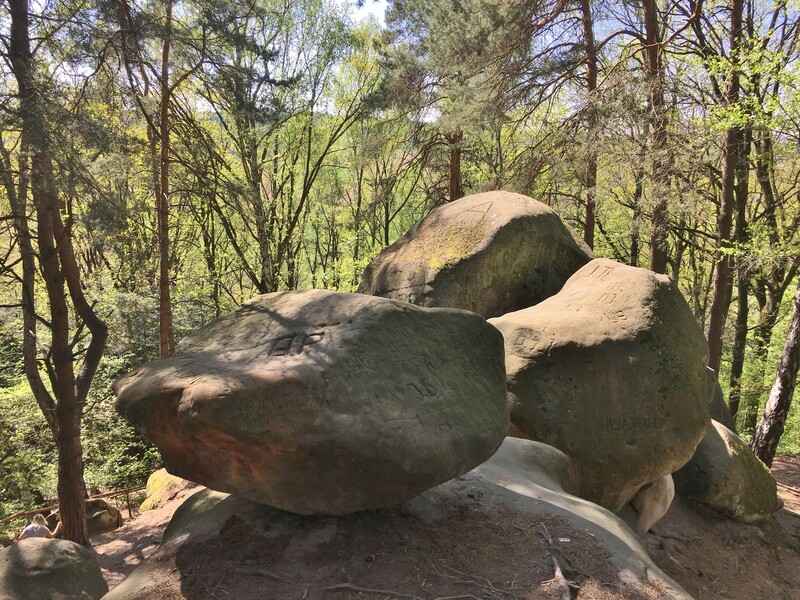 The pride of Ciężkowice is Stone City - a 15 hectare nature preserve encompassing the largest and most diverse system of sandstone rock formations in the Polish Carpathians. 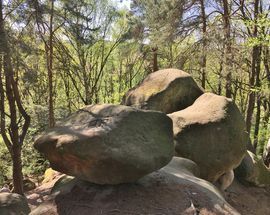 Stretching through valleys and hills riddled with caves and crevices between magnificent rock outcroppings, each formation has its own name and distinguishing features, and all are connected by a scenic forest hiking trail which winds you through the highlights of the landscape. 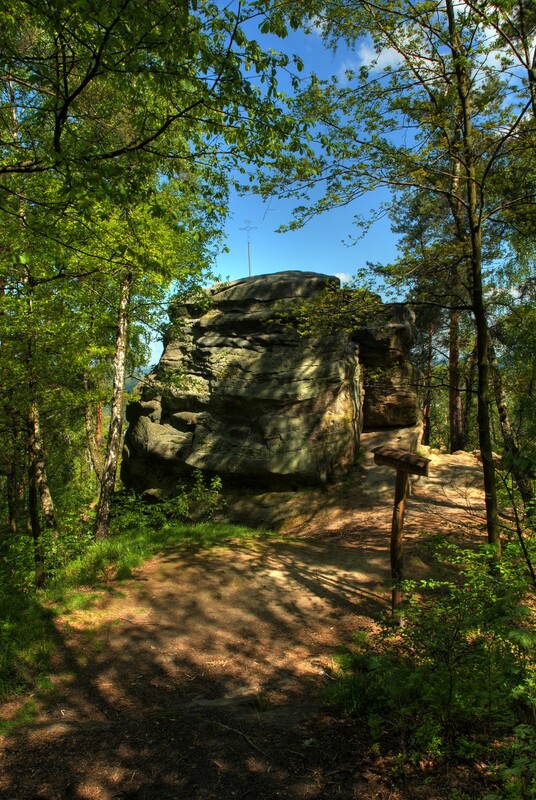 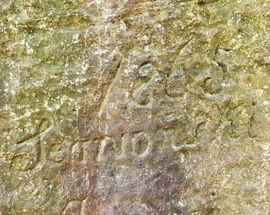 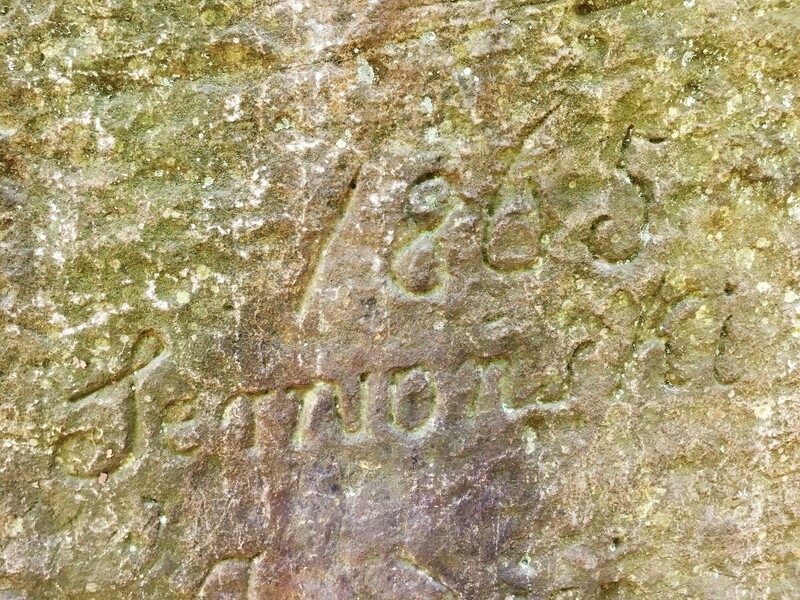 Local legend has it that the area of the reserve was once a prosperous town, turned to stone as punishment for its greed (hence formation names like the ‘Town Hall’, ‘Castle’ and ‘Bastion’). 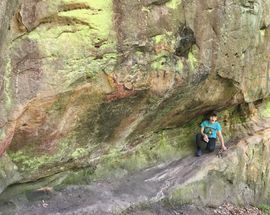 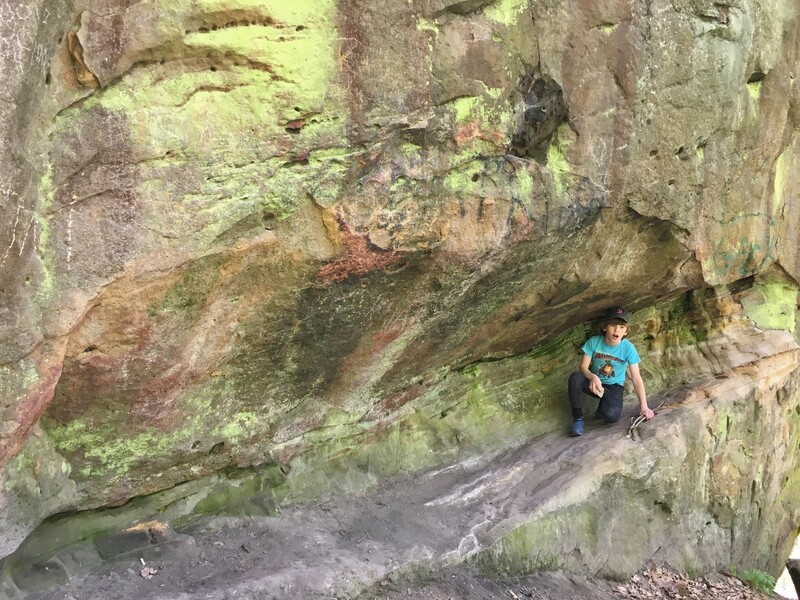 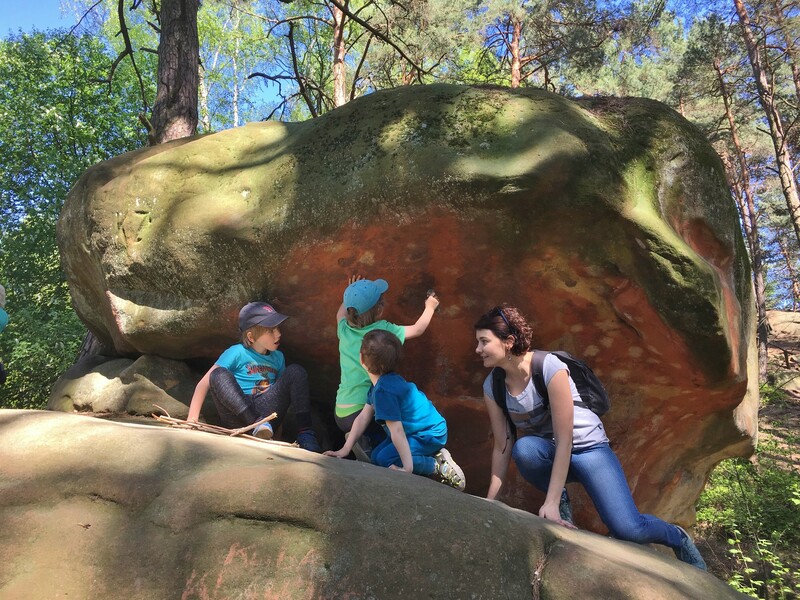 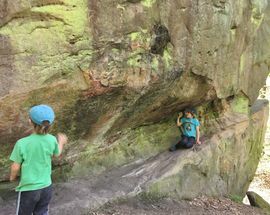 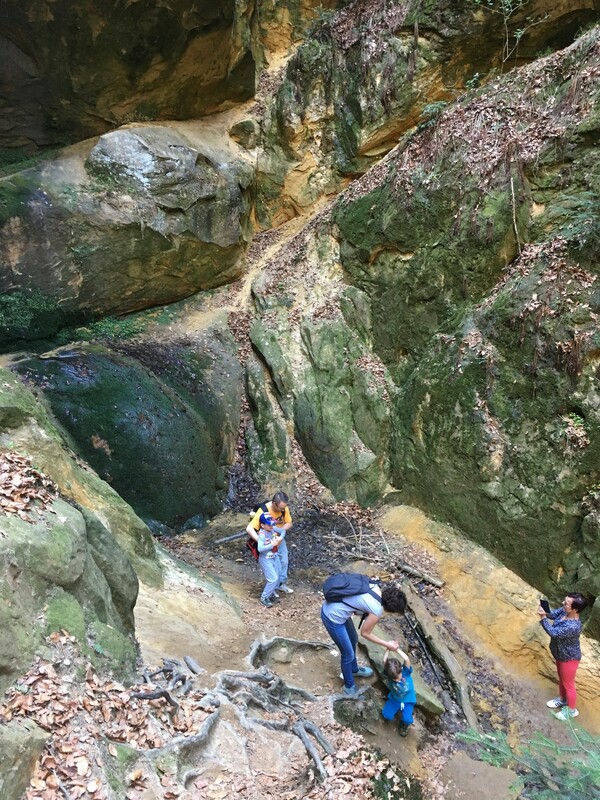 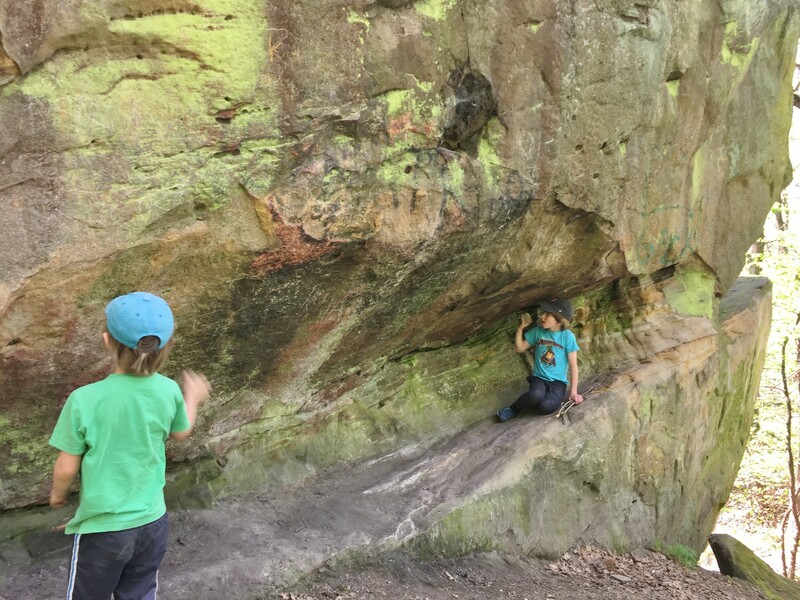 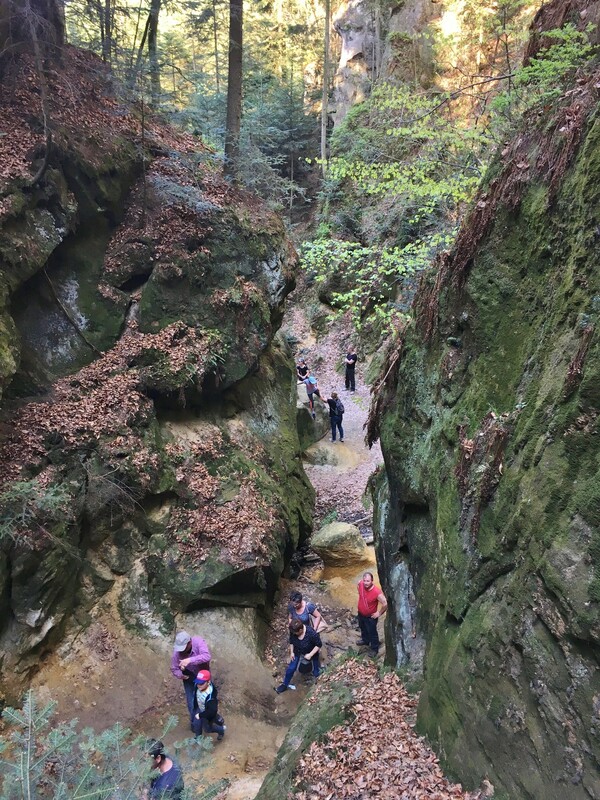 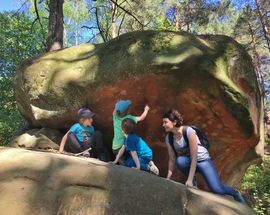 A natural playground, kids have a blast crawling their way through the veritable maze of rocks, most of which include openings, fissures, crannies and tunnels that stop just short of giving parents cause for worry. 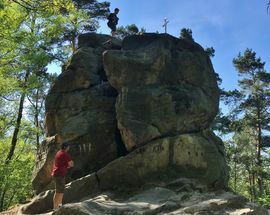 For this reason, what could be as short as a 45 minute hike can turn into a full day’s outing depending on how enthusiastic you are about exhausting every route between these impressive monuments. 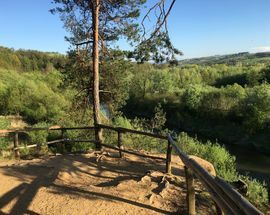 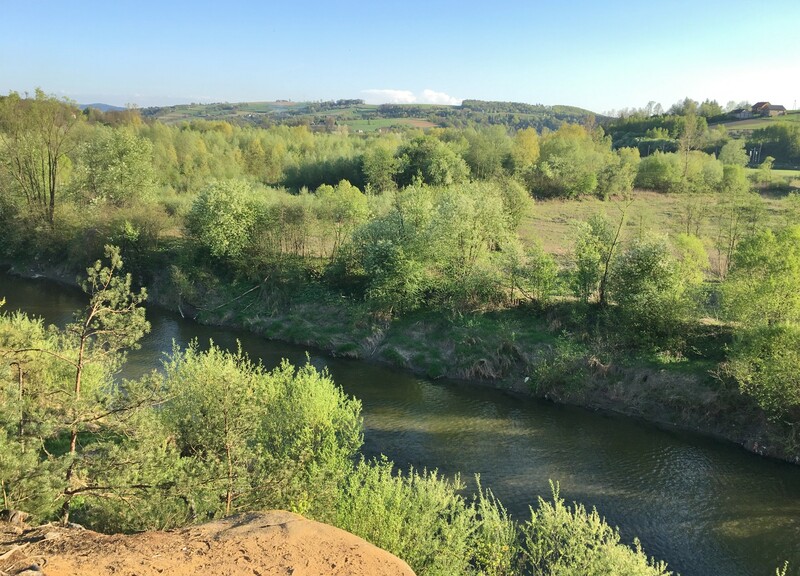 The beauty of the landscape is truly impressive and home to plenty of wildlife; keep your eyes peeled and don’t be surprised to spot foxes, deer, owls, woodpeckers and lizards, not to mention all of the bats which roost in the region. 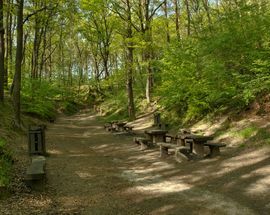 On weekdays the area is largely devoid of tourists, but note that on nice weekends it can get quite crowded. 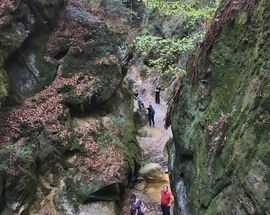 There is no admission fee or hours for this outdoor attraction, though guided English tours can be arranged for large groups in advance via the Tourist Information Office. 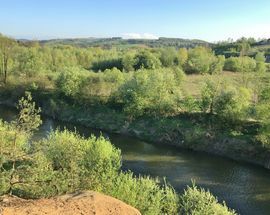 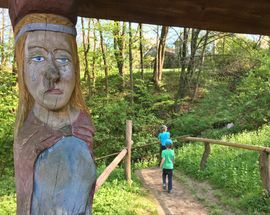 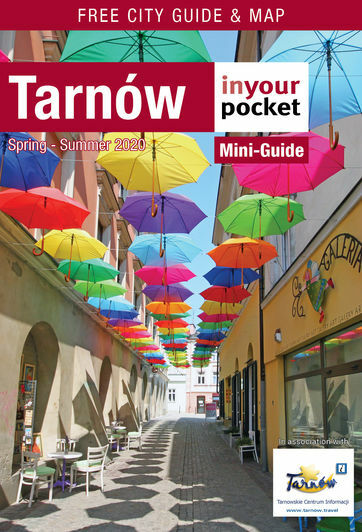 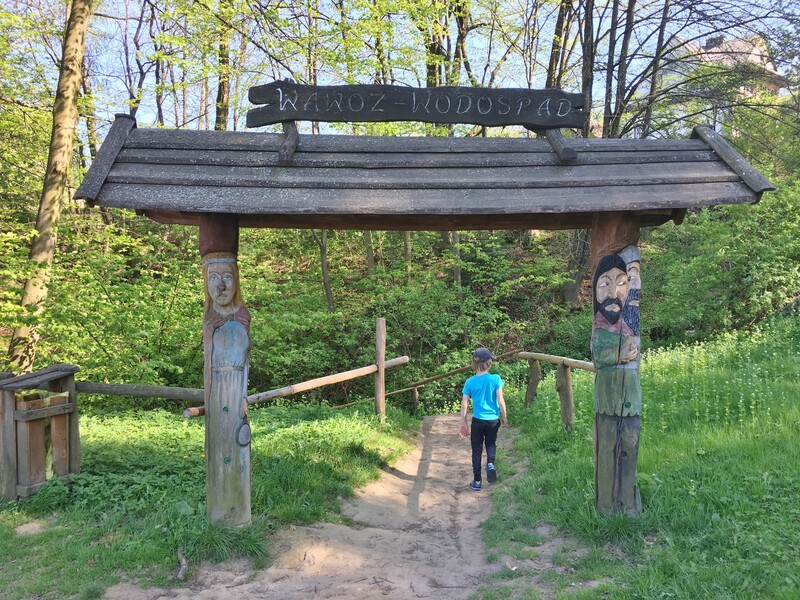 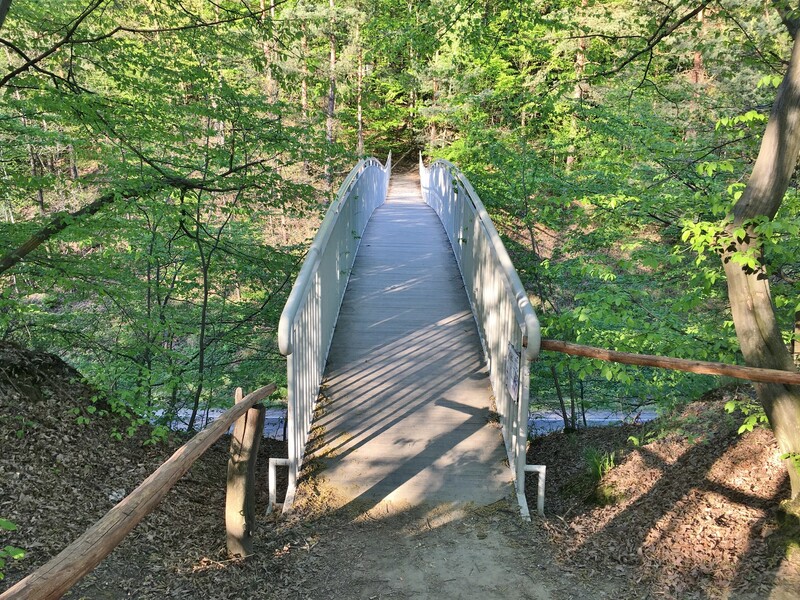 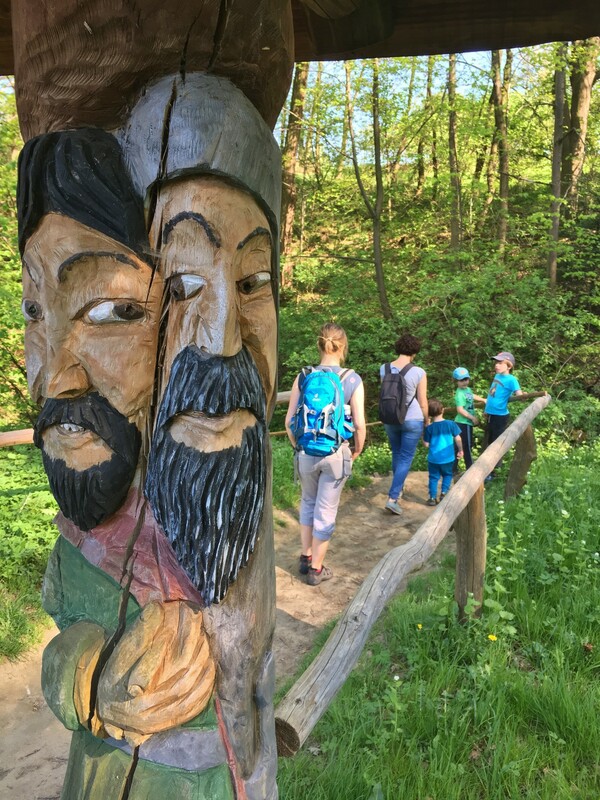 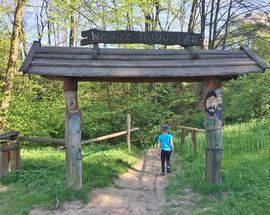 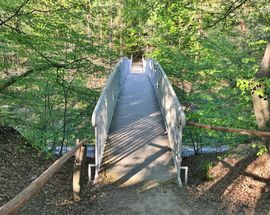 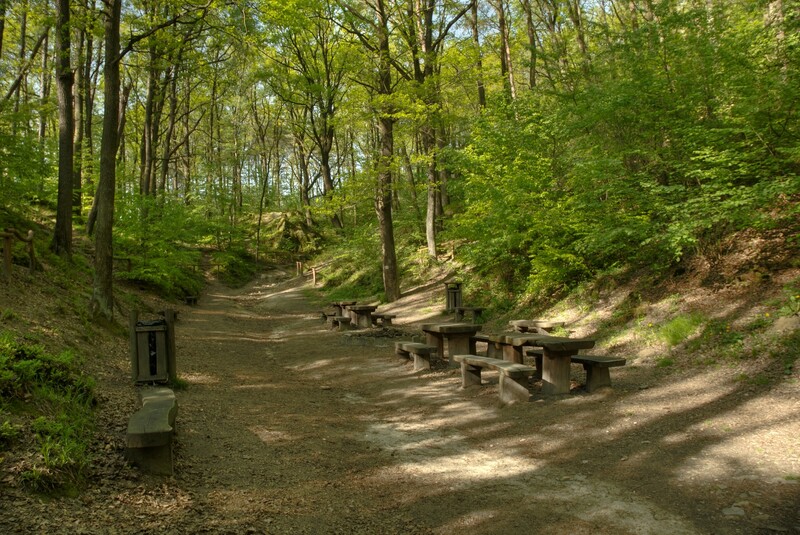 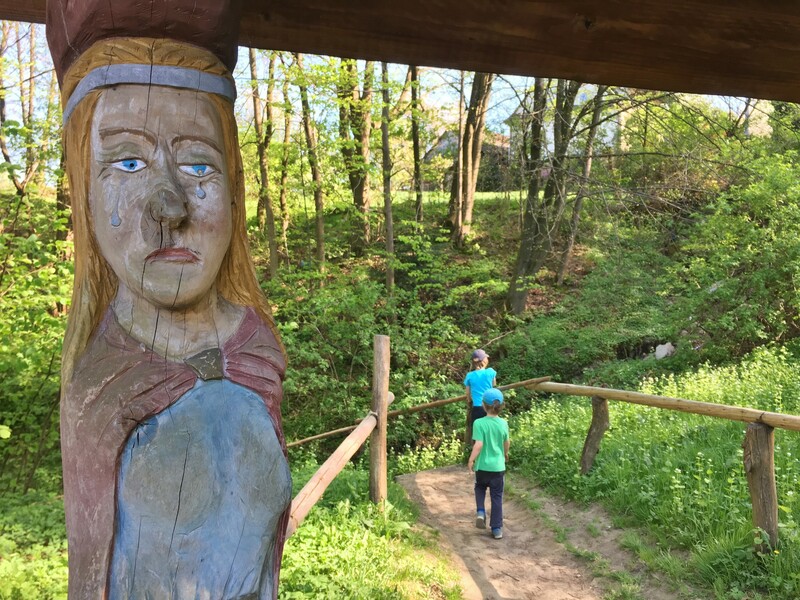 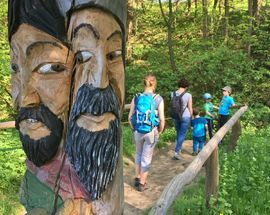 Located only 1km south of the Ciężkowice market square, there are basically two ends of the reservation, which are connected via the primary blue trail. 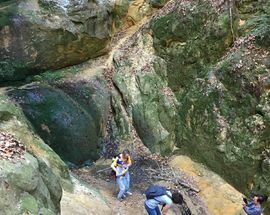 The main entrance, most easily accessed by car, is off of ul. 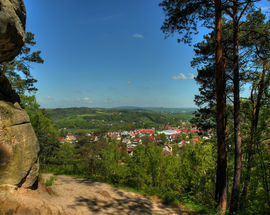 Krynicka (road no. 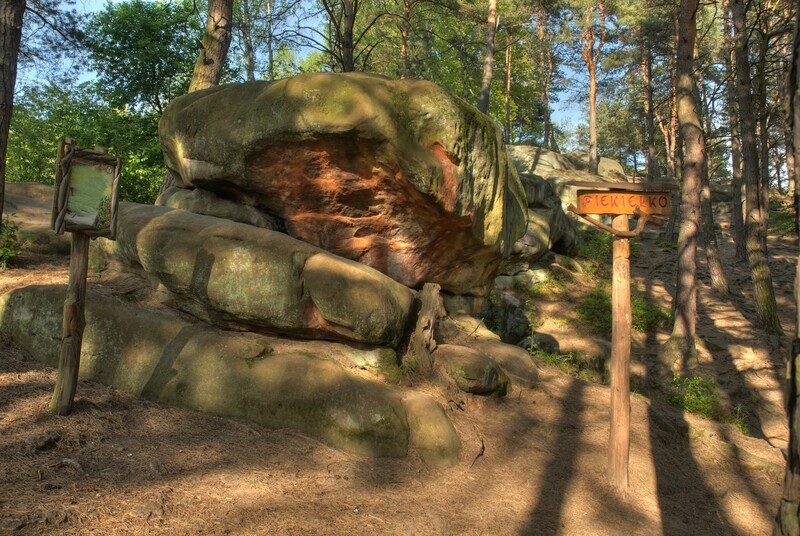 977), and features parking, a small restaurant, restrooms, a picnic area, and even a natural spring dispensing drinking water; this end of the reservation begins with the 'Grunwald Rock,' but there are also two other formations worth seeing near the parking that are not on the blue trail - namely, the footbridge to the 'Town Hall' and the famous 'Witch' formation. 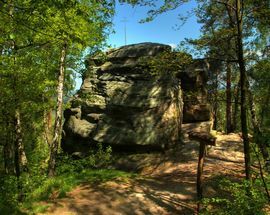 At the other end of the blue trail is the ‘Rock With a Cross’ (offering wonderful views of the surrounding valley), with trail access off of ul. 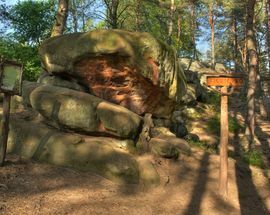 Tysiąclecia. 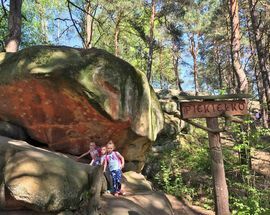 Ulica Tysiąclecia leads directly to the market square, making this the best access point for those on foot (10min walk); there is also a smaller parking area here, across from which you'll find the trailhead for black trail which leads through the ‘Witch Gorge’ natural monument, which is worth seeing and only an additional 10min walk.